Thanks to the initiative and resourcefulness of a pair of single-minded teenagers named Heidy Quah and Andrea Prisha, Thang and other refugee children like him now have access to schooling and a shot at realising their dreams. In 2012, the then 18-year olds were volunteering at the Chin Children’s Education Centre (CCEC) when they were informed that funding to run CCEC would cease. Rather than submitting to circumstances, the duo set about raising funds. They kicked off Refuge for the Refugees (RFTR) and defied the odds to secure the financial assistance necessary to ensure CCEC’s survival. Today, RFTR supports 35 community based schools in Malaysia and Myanmar and two half-way homes, providing hope and promise to children from countries that include Myanmar, Palestine, Pakistan and Somalia. “Denied access to formal education, these children hunger to learn. By providing them with the fundamental right to schooling, we have seen a discernible shift in their thoughts and actions. They are disciplined, responsible, confident, respectful and view themselves as more than just mere refugees. With the hope of a better future now in their grasp, they are eager to give back to their community and country,” says the co-founder and director of RFTR, Quah, who has just returned from back-to-back symposiums in the US and Europe on the escalating crisis of refugees and the corresponding rise in human trafficking. “Our students range from 5 to 17 years old and we have students who have successfully completed their O-levels and IGCSEs with some receiving scholarships to further their studies at private institutions in Malaysia. We even have students who started with zero knowledge and are today pursuing their medical degrees,” she adds with justifiable pride. On average, RFTR requires a hefty rm3 million a year to operate and most of this budget is derived from donations, fund raising drives and performance shows by its talented students. Micro financing services are also provided to student entrepreneurs whose products are either sold online or at the organisation’s campaigns and bazaars. “Naturally, we face our fair share of challenges, from securing sufficient funds, enlisting dedicated volunteers and overcoming discrimination, to protecting our students and other refugee children from the very real risks of persecution, arrest and child trafficking. 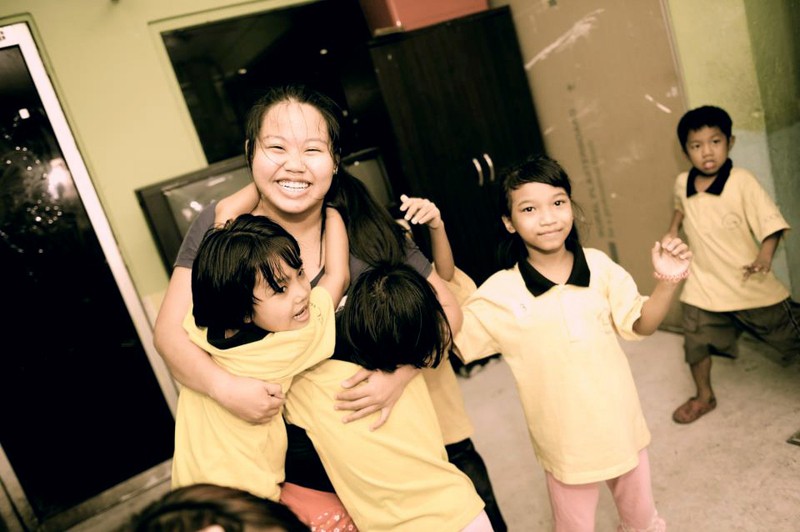 But, through creating awareness and highlighting the plight of these kids, we hope to effect elemental changes in the existing laws and policies to better protect refugees,” sums up Quah, whose passion for this cause is only matched by her compassion for these children. Closer to home, RFTR is in the process of setting up a social business school to teach students skills such as cooking, sewing, baking and hair-cutting in order to provide them with the resources to earn a living for themselves. Though well worn, Nelson’s Mandela’s words bear repeating, “Education is the most powerful weapon which you can use to change the world.” Armed with knowledge and hope, Quah and Prischa’s little fighters are now equipped to go forth and change their destinies. This report is part of the "Apprentices Oh Hope" segment in Live! 2019.